The copier market is a surprisingly competitive, and it can be hard to figure out who is on your side. Colorado Springs Copier knows how hard it can be to find someone you trust. We are your local copier experts and are here to answer any questions you may have. At Denver Copier we take a customer service approach to copier leases. We believe in finding you the right copier, not the most expensive. Our honest sales practices and expertise have earned us a reputation as the local copier experts. We aren’t just in this to make a sale. We create relationships with our customers that last for years. That’s why they continue to come back well after their first lease with us. Do I need color or is monochrome acceptable? Is this for office work or design purposes? Do you need tabloid printing capabilities? How many prints do you expect to use per month? Are there any specific features your need for your personal business? 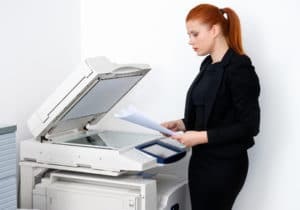 Finding the right copier lease is about dealing with the right people who want to help. You will find that type of experience at Denver Copier. Our staff is the best around at answering your questions and pointing you in the direction you need to head. Getting the right copier is about more than just finding a machine that can complete your print jobs. It’s about finding a machine that will help your business thrive for years to come. So come see your local copier experts at Denver Copier and get the perfect office machine today.